Thursday 2nd & Friday 3rd November: Confirm opening hours with the Hellenic Centre office, as the room may be used for other functions. “Portraits and Figures of Light” charity exhibition aims to highlight the meaning of life, its light and its shadows, and through the contrast to demonstrate the ability of the human soul to find its wings away from materialism. Dedicated to the people of Brazil for their ability to always find the colorful rainbow in the rain, the exhibition is aiming to raise social and spiritual awareness towards the pursuit of happiness in its broader term. 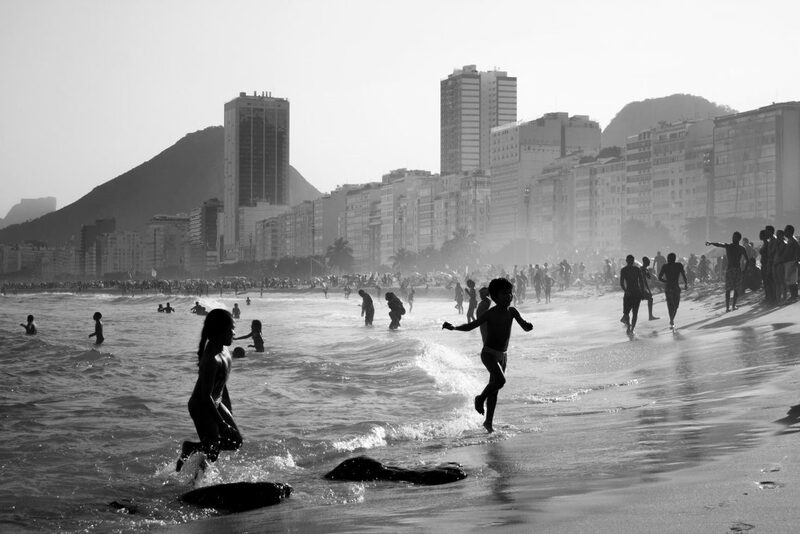 The series of photos taken exclusively in Brazil, are divided in two sections: the real life in the favelas, and the dreamy image of the beaches of Rio de Janeiro. Through a journey in the socio-economic aspects of a country characterized by disparity, the observer is surprised to find an unparalleled sense of happiness, warmth, and deep joy of living, emerging not by a materialistic abundance, but rather from an undying passion of life, a philosophy that roots back to a simple mind, that of giving and love. Unlike the complex journey of Europe to find its light, the Brazilians through the struggles and the shadows, dance their way to the light with a smile and a melodic beauty that comes from within. Struck by the observations, the photographer wishes to share this lesson to the world, especially in this difficult time of the world crisis. The exhibition is under the auspices of the Embassy of Brazil in London and is in aid of ActionAid UK.